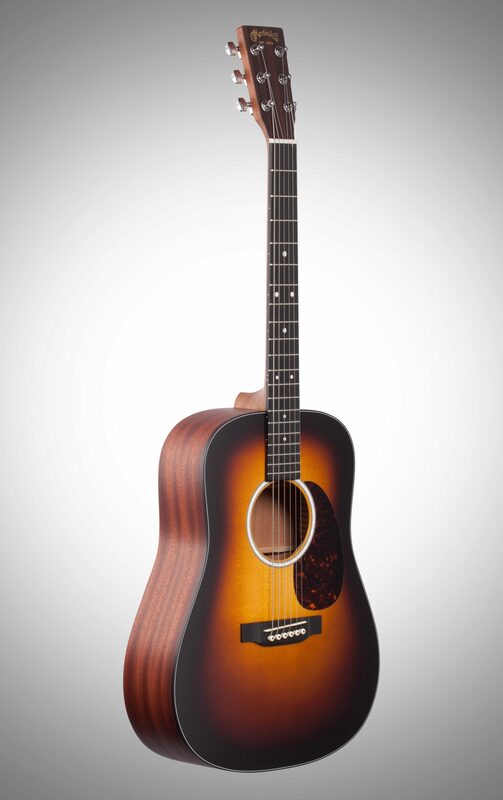 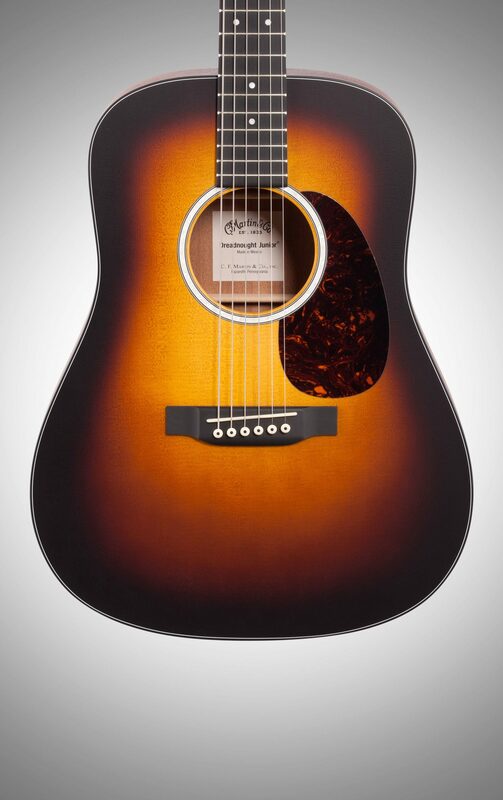 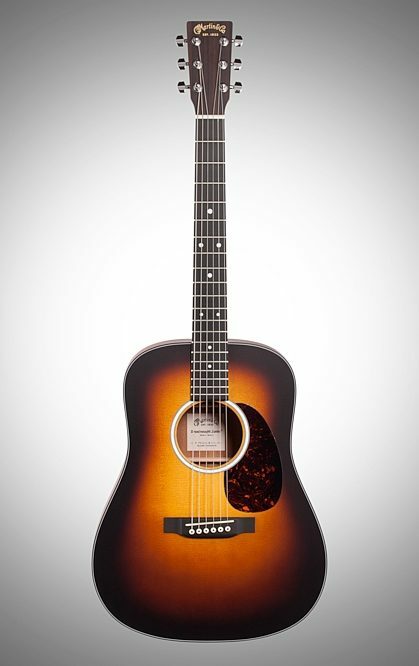 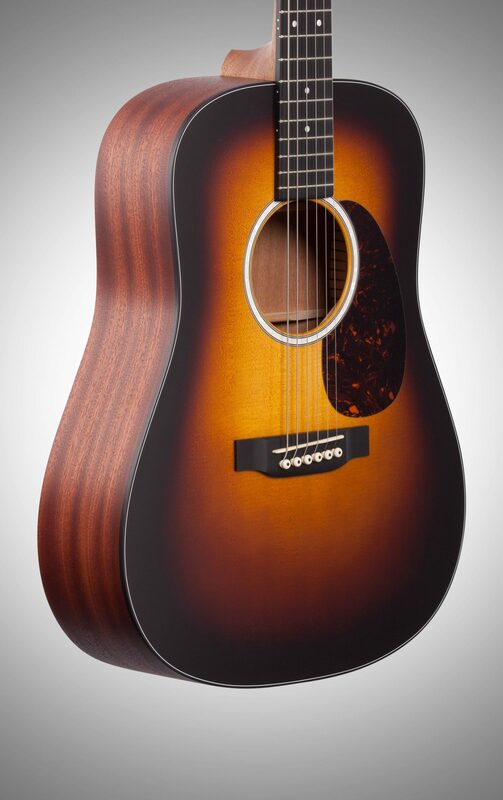 The Martin DJr-10 Dreadnought Junior Series is designed for players looking for big Dreadnought sound in a slightly smaller body. 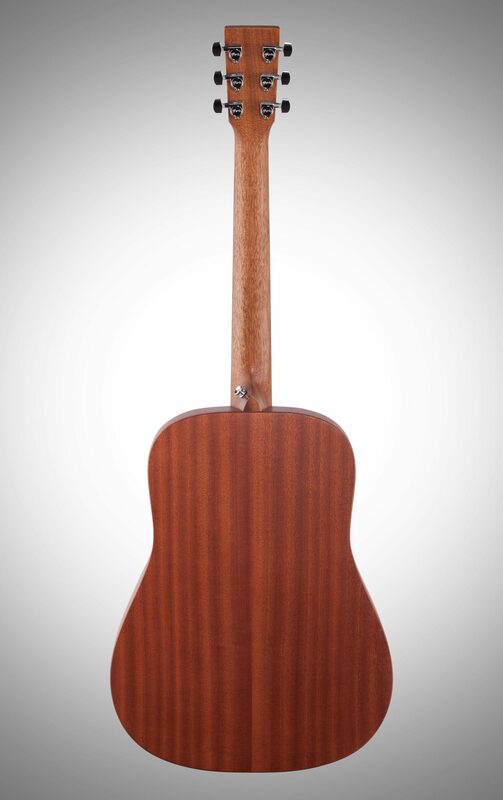 The updated Junior is available with a sapele or Sitka spruce top, sapele back and sides in a rich cherry hue, and a hand-rubbed neck. 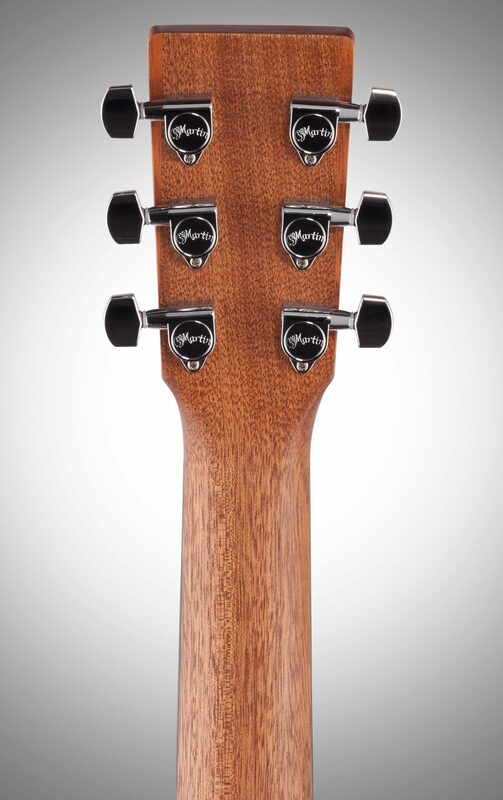 The updated Junior models sport a thinner, 000 body depth with softer back edges to provide maximum comfort while playing. 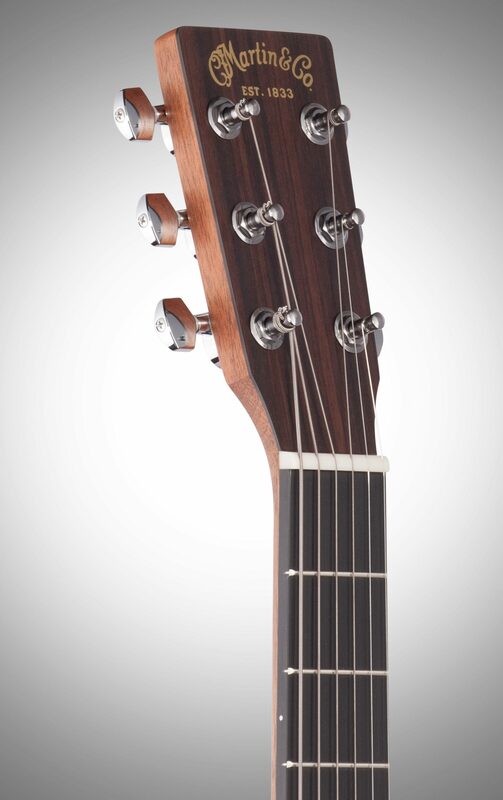 Every Junior model is available with or without Fishman Sonitone electronics, and all include a form-fitted nylon gig bag for easy transport.